Legendary, that is how you would describe Jean-Claude Van Damme. The guy who first brought Muay Thai to the main-stage with his 1989 Movie ‘Kickboxer’ is busy putting together a new reality TV show. Entitled ‘Guardian Angel’ the television show will air in France, and will feature several contestants battling for the opportunity to become JCVD’s personal assistant. Looking to showcase Muay Thai during the tv show, JCVD contacted Thailand’s #1 training facility, when he asked if Tiger Muay Thai and MMA Phuket would be willing to send a trainer onsite for filming. Sending 3x Lumpinee Champion Wattanachai Kaewsamrit, the contestants of the Guardian Angel were treated to a 5am wakeup call as they were dragged to the beach and forced to complete a rigorous ‘Thai’ training routine. The official air date has not been set for the TV program, although it is expected to be broadcast in France sometime in 2012. 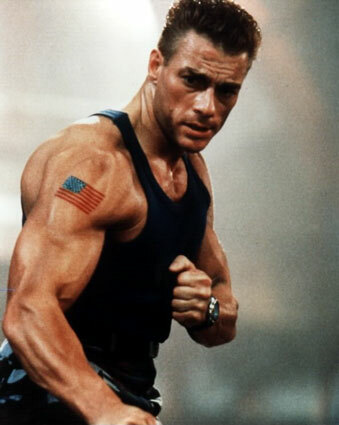 TMT looks forward to hosting Jean Claude Van Damme at the camp during his next visit to Phuket Thailand.